The preeminent presidential historian of our time acknowledges that these are strange days indeed. 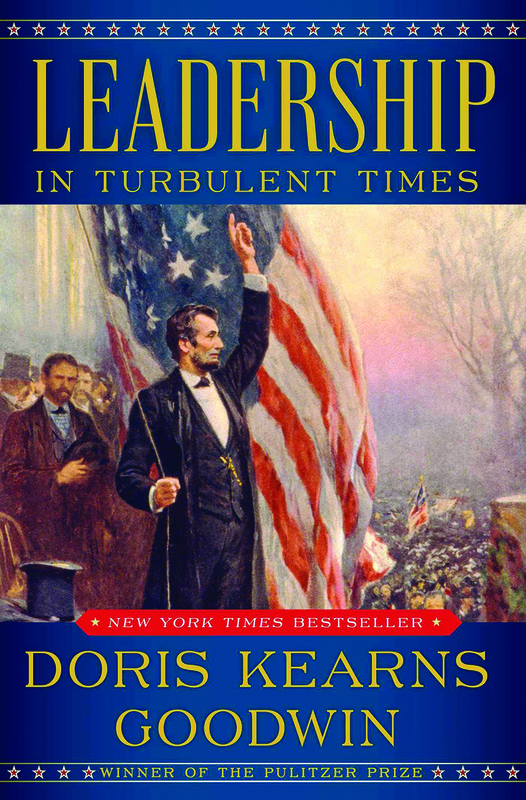 Her latest best-seller—Leadership: In Turbulent Times—mines the formative experiences of Abraham Lincoln, Theodore Roosevelt, Franklin Roosevelt and Lyndon Johnson for insights into how and why they became the right men to guide our nation through some of its most trying episodes. At the same time, the title feels as connected to the present as it does the past. 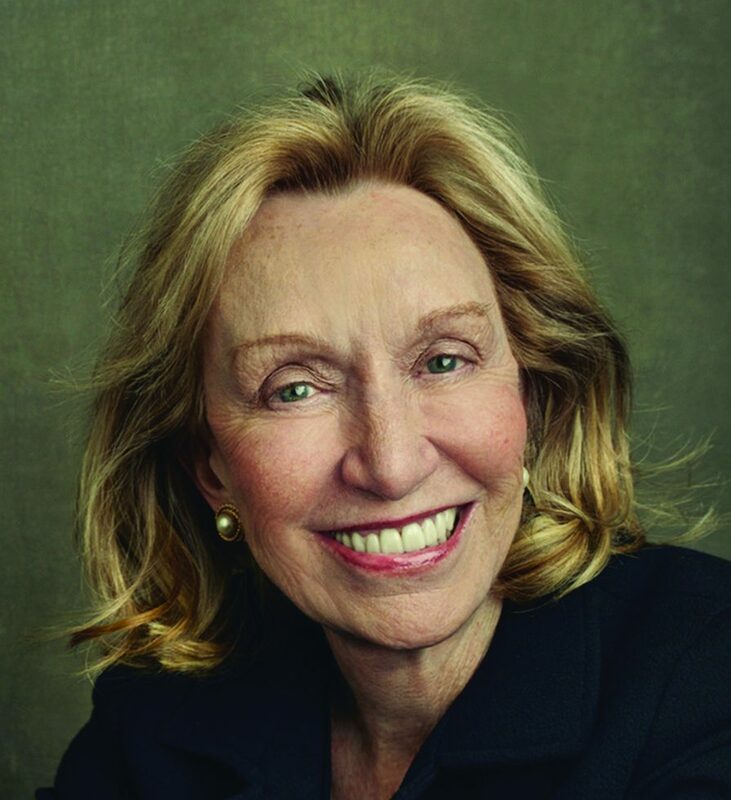 It’s no wonder that the perspective Pulitzer Prize-winner Doris Kearns Goodwin brings to discussions about occupants of the Oval Office is as valued as ever. The author of six New York Times best-sellers—including Team of Rivals, the book about Lincoln that inspired the 2012 Steven Spielberg movie—shares some of that perspective Feb. 28 at Mizner Park Amphitheater, the kickoff event for the 13th annual Festival of the Arts Boca (which runs through March 10). In her lone pre-Festival interview with a South Florida magazine, Goodwin spoke to Lifestyle about the leadership lessons that history can provide. Whenever you’re on television lately, the moderators all look to you to put this moment in time into context, to connect it to the past. Where are the parallels? The one thing that I can talk to people about, which gives a certain amount of comfort, is that all four presidents I write about in the book [presided over] times much harder than this. We feel like we’re in a tough time, and it is. But it’s still not the same as being a young adult during the Civil War, where the country is falling apart, and 600,000 people are going to die. Or the early days of the Depression, when one out of four people can’t get a job, you can’t get your deposits out of the bank, and there are riots in the streets. History tells us that we’ve been through these tough times before. In each of those cases, not only did we have the right leadership, but the citizens were active. Lincoln was lionized after the war for being a liberator, but he said it was the anti-slavery movement that did it all. The progressive movement was absolutely huge to Teddy Roosevelt’s and FDR’s success. And the civil rights movement was essential for LBJ. There’s more interest in politics right now because of the turmoil, and that’s the positive side. That’s what history can suggest—when citizens become involved, things get worked out. There’s no one blueprint when it comes to creating a leader; the presidents you write about reach the Oval Office through different experiences. But what distinguishes presidents who meet the moment compared to those who fail in the face of adversity? It’s a very good question. So, James Buchanan is president in the 1850s, and the North and South are already spinning apart. He comes from the North, but he’s really a Southern sympathizer. He gets involved in the Supreme Court decision of Dred Scott, which denies citizenship to blacks—and he’s considered one of the worst presidents in history. … Obviously, he didn’t have the temperament to heal the division. He exacerbated it. 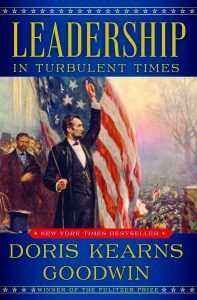 [Before writing Leadership,] I hadn’t really studied these leaders when they were young—when they ran for office the first time, when they failed and made mistakes, and how they reflected on those mistakes and learned. One of the things that [Donald] Trump said was that he would have the best possible temperament of anyone to run for president because he had a winning temperament; he never lost. Yet, the stories of the book show that facing adversity—and becoming stronger while going through it—is a huge mark for a leader, not just a president. In a Washington Post interview, you spoke about looking at the leadership qualities of our political candidates moving forward, not just their political experience. What specific qualities do you mean? I feel so strongly about this. Before Tim Russert died [the host of NBC’s “Meet the Press,” who died in 2008], the two of us talked about having some kind of leadership index to look at the candidates, rather than who zings who in a debate or who has raised the most money. All of these candidates come from somewhere—they’ve been a congressman or mayor or businessperson. We should look back and see if they’ve acknowledged errors, if they’ve shown empathy and resilience. Can they connect to people? Can they communicate with and mobilize people? Can they control their negative emotions? We should see which candidates have experience that demonstrates these major qualities, which we know make good leaders. They can promise anything, but it doesn’t matter unless they have the skills to mobilize the Congress and the country to go toward the things they believe in. Beyond the presidency, who is demonstrating real leadership among our elected officials? What was encouraging about the midterms was all the people who came from different walks of life. … Sometimes, an event happens and qualities that somebody has within them, ones that haven’t been expressed yet, come out. … That’s where there could be leaders out there who come forth for [local offices] like mayor and city council. If only public service can become honored again. That’s what we had in Lincoln’s time. The best people wanted to go into public life; they knew it could make a difference. … You have to believe that public service and government can make a difference. If [more people] do, and they start learning how to express those leadership skills, then perhaps we’ll see a whole new crop of [elected officials]. Maybe that’s what we need. There’s a fever that somehow has to be broken in Washington, D.C.
What: The 13th annual celebration of music, film, dance and authors kicks off Feb. 28 with presidential historian Doris Kearns Goodwin, followed one night later by the movie “Star Wars: Episode IV—A New Hope” set to live music by The Symphonia and conductor Constantine Kitsopoulos. Other highlights include a presentation about the Constitutional challenges of our time by author Jeffrey Rosen (March 3), and a concert by jazz trumpeter Arturo Sandoval and his band (March 10). Contact: For the schedule of events and ticket info, visit festivalboca.org or call 866.571.2787.